The Diago PS06 9V powers those pedals that only take a 9V battery! A ingeniously simple cable that will work with any standard Boss style [2.1mm Center Negative Barrel Plug] power cable (everything on this site!). 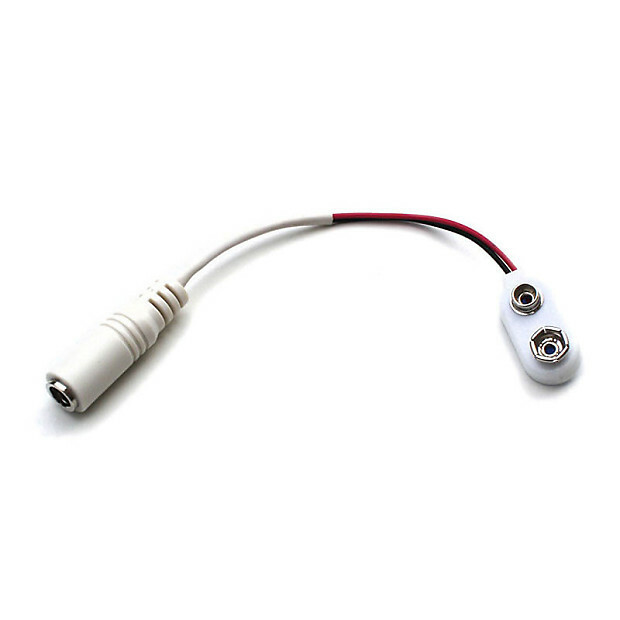 Whether your pedal is really old or if the regular adaptor plug entry is broken, you can hook up this little white cable to your daisy chain and the other end to the batter clip of the pedal and bam you're back rocking and rolling. Cool! Orders sent out the same day if placed before 1PM Pacific time. Shipping time is usually 3-5 days depending on location within US and US territories. Returns are valid for 30 days if original item is returned with all manuals, boxes, accessories. Full refund minus shipping costs will be refunded.